How do I use UpdraftCentral theme and plugin management? For a quick and easy guide to using these features, please watch the following video. How do I install UpdraftCentral? On the sites that you wish to control (i.e. the controlled sites), you need to have an active copy of UpdraftPlus (the backup/restore plugin) installed. The rest of this FAQ is not about your collection of controlled sites – but about the one site that hosts your dashboard (which we call the “mothership”). There are two ways to use UpdraftCentral: 1) the easiest option: via your dashboard at updraftplus.com (i.e. on our site) or 2) via self-hosting (not via updraftplus.com): via installing the dashboard plugin on your own site. At the time of writing, the self-install plugin has not yet been released. These two options are described below. If you want to use UpdraftCentral via your dashboard on updraftplus.com, then you just need to log in to updraftplus.com – it is ready and waiting for you. (And optionally, purchase some more licences to add to your free allowance!). You need to install and activate the plugin in the normal way, via the “Plugins” page in your WordPress dashboard. For the free wordpress.org version of UpdraftCentral, search for the plugin and install (its plugin page is here). 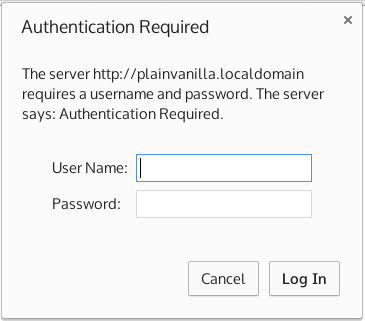 For a paid self-hosted version, install via the “upload” facility in that page. On all the sites that are to be controlled, you will need to install and activate UpdraftPlus, again via the “Plugins” page in your WordPress dashboard. 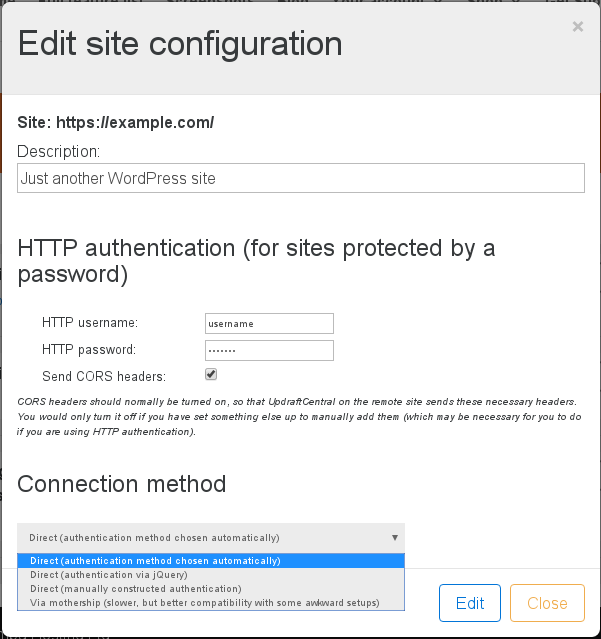 Again, for the free version you should search in the wordpress.org directory using the search facility on that page – and for a paid version, install via the upload facility. After installing and activating the plugin, you’re nearly done: you just need to set up a page to be used as your dashboard. Go to the “Pages” section in your WordPress dashboard, and add a new page. In this page, add this shortcode: [updraft_central] . Then, save the page. When you visit that page, it will show the UpdraftCentral dashboard. 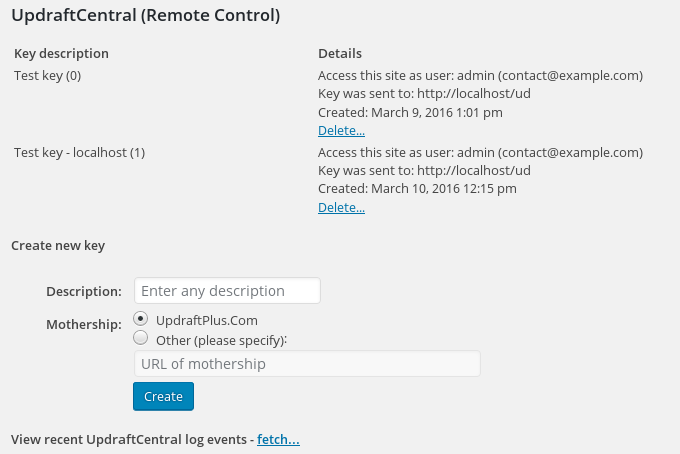 My UpdraftCentral remote-control dashboard cannot contact a managed site – what should I check? Please see this guide here. I accidentally deleted my site or connection keys, and need to reconnect. This is done via adding the site again as a new site, following the same procedure as for a new site.